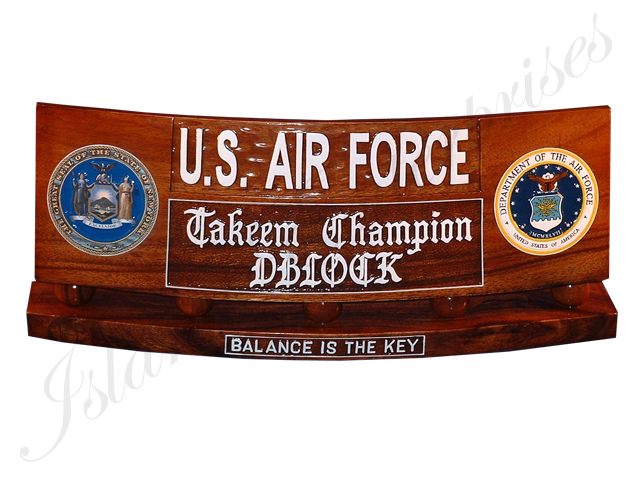 We can make any carved text you want on top of the desk plate, you can also customize the carved patches on the left and right side of the desk plate as well as the carved name and caption. Andremember, 100% money back guarantee, if you’re not totally convinceyou've bought the most accurate, and highly detailed model available onthe market!!! Contact sales@islandenterprises.net for price and shipping quote.